Last weekend Cult Nails had another awesome sale which I took advantage of J. All polishes were marked down to $7 for Maria's birthday. They are normally $10 each. So I decided my NOTD would be Cult Nails Let Me Fly. 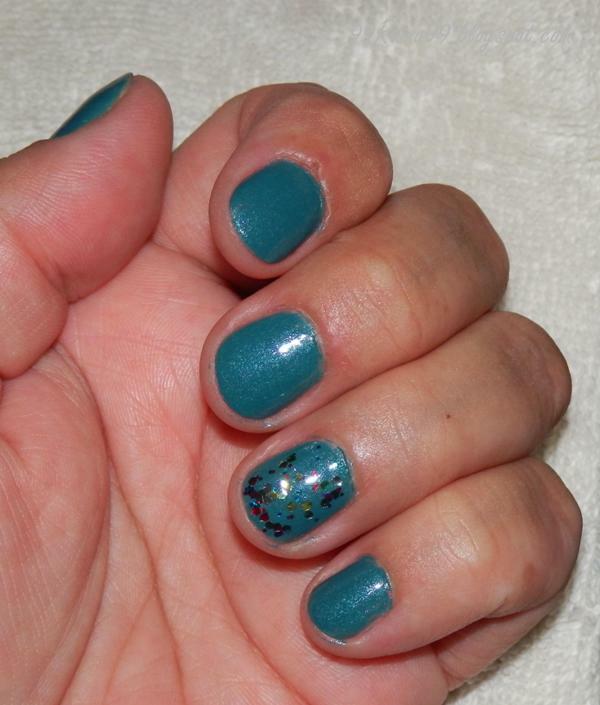 I love love this colour; a dark teal with silver micro shimmer. The formula is pretty awesome. I only used two coats. As an accent on my index finger I used Jordana Glitter – Gemstone. To bad I had to take it off the next day. I had a CT scan (follow up to a surgery I had last year) and I guess the glitter on my accent nail was a nono.